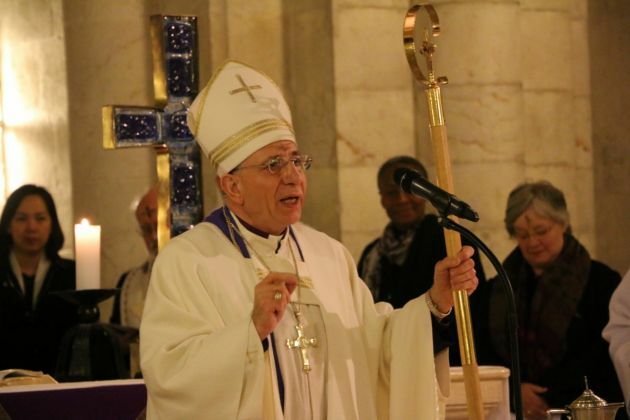 The past year has been marked by impossibly bad acts of extremism, violence, terrorism, and war making it possible to doubt the possibility of peace says Holy Land Lutheran Bishop Munib A. Younan. "As I have been preparing to send this message to you, nearly every day has brought news of another horrendous event: the attack on our sisters and brothers of the Coptic Church in Cairo, terror in Istanbul and Karak, the ongoing horror in Aleppo, and just in the last few hours, an attack on a Christmas market in Berlin, among others," said Younan. In his Christmas message titled "Nothing will be impossible with God," Younan, who is the Bishop of the Evangelical Lutheran Church in Jordan and the Holy Land spoke of the doubts that can be triggered by horrors. "Even in this season of joyful expectation, such horrors can make us doubt the possibility of peace, of justice, of reconciliation, and of a world which values diversity and living together," he said. It is for this reason that I have chosen to focus this Christmas message on Luke 1:37, which says "Nothing will be impossible with God." Younan noted that "this remarkable statement from an angel of the Lord reveals that the message of Christmas is not a diversion or an escape, but is really the foundation of our hope in this broken world." Bishop Younan, who is president of the 74-million strong Lutheran World Federation noted that in the biblical story when the angel came to Mary and announced that soon she would be the mother of a baby, a holy child called "Son of God", at first, she could not believe it. She was unable to imagine that a simple young woman would become the bearer of God. "How can this be, since I am a virgin?" she asked the angel. And the angel said to her, "Nothing will be impossible with God." 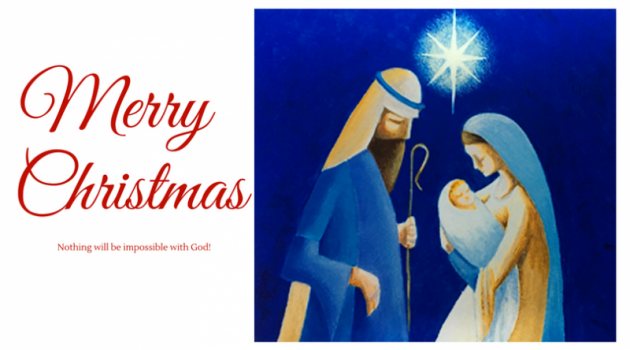 The bishop said the simple and powerful statement is often overshadowed by other familiar parts of the Christmas story, "and yet it perfectly sums up the theme of every Christmas carol, every Christmas play, and every Christmas tradition. "If the Son of God could be born to a virgin in Bethlehem, laid in a manger, worshipped by shepherds and foreign travelers from the East, sought by a ruthless king and chased out of the country - all before saving the world through a sacrifice of love on the cross - then truly, nothing is impossible with God." Younan said that a few day earlier he had been with the King of Jordan, who had invited all the Heads of Churches to the palace to wish us a Merry Christmas. "This was a moment of joy, of friendship, and of interfaith understanding. As we left the palace, however, we received the news that a terror attack in the Christian village of Karak had taken several lives. "Frankly, this news spoiled our Christmas joy. It made us angry! We were asking ourselves, 'How could this possibly happen? Where is the God of peace, justice, and mercy?'" The anger was same was felt a week earlier when there was a terror attack near Cairo's St. Mark's cathedral. "This attack was not only targeting Christians, but was against all of Egyptian society. It was even an attack on God, and on humanity itself. Although such attackers may claim to be lovers of God, truly they have sinned against God and against all of humanity." Younan asked if such events frighten the Christians of the Middle East. "I cannot say that it does not affect us. At the same time, as Christians in this region we are called to reflect, 'What is our call as a community? What is our role in bringing peace to this region?'" "I believe the answers are clear: Arab Christians are called - as are Christians in every place - to boldly carry the Gospel of love wherever we are. "In the face of oppression, violence, terrorism, and occupation, our role is not to escape. We must be like the Virgin Mary, who, although she faced an impossible situation, chose to listen to the words of God's messenger. Like Mary, when we feel the whole world is against us, we must hear the words of the angel who said, 'Nothing will be impossible with God.'" World Council of Churches Christmas card 2016.